An unprecedented level of driver input has been hailed as key to the final design of the Newcastle street circuit, which will host the Supercars season finale next weekend. The build of the 2.6km, 12-turn circuit is almost complete ahead of the inaugural Coates Hire Newcastle 500. 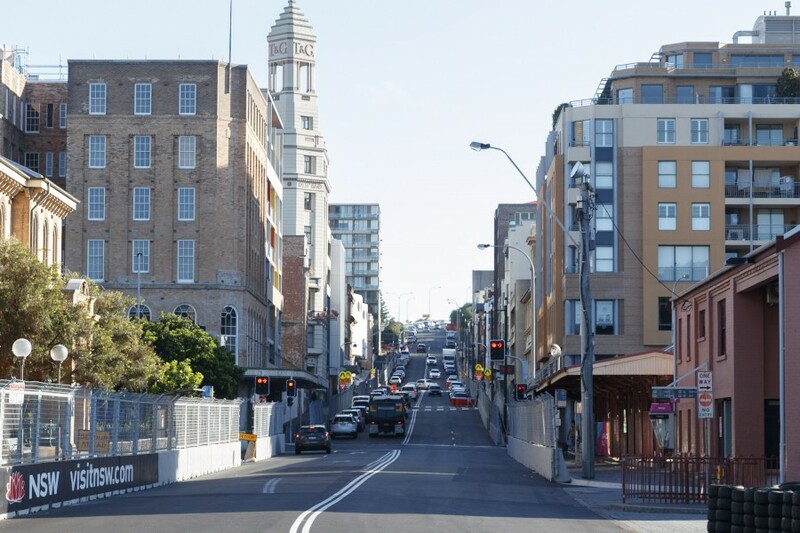 Supercars worked closely with the Newcastle council, track design specialists iEDM, and selected drivers to turn the concept of a Newcastle street circuit into a reality. Driver involvement began when the event was first announced in September 2016. 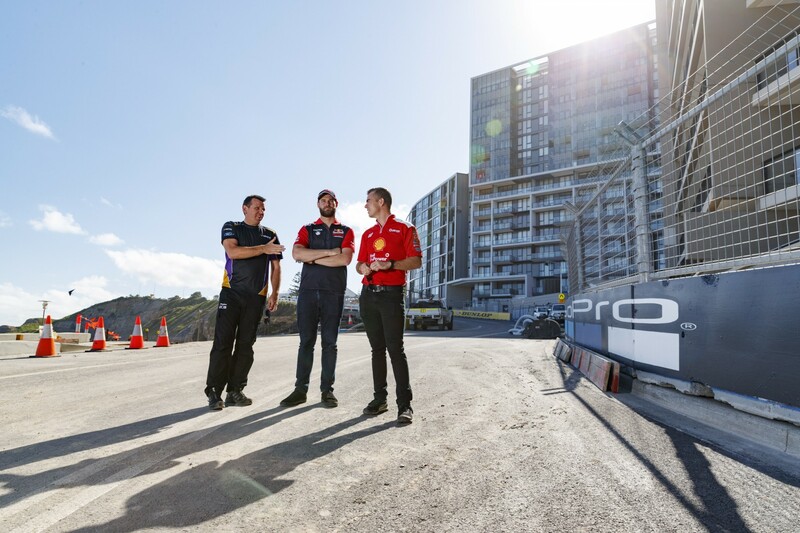 While attending the launch, Mark Winterbottom, James Courtney and Chaz Mostert walked the initially proposed layout with Supercars CEO James Warburton and iEDM engineers. A series of subsequent visits have taken place over the past year with a variety of other drivers, including title contenders Scott McLaughlin and Shane van Gisbergen. “It’s been fantastic to have the drivers involved all the way through, regularly visiting and having an active part in the discussions,” Warburton told Supercars.com. “There were a couple involved right from the start, but during the project we’ve nearly had every driver visit and share their opinions. iEDM was also responsible for the delivery of other recent street circuit projects, including Hamilton (2008), Townsville (’09), Sydney Olympic Park (’09) and the 2010 revamp of the Gold Coast’s Surfers Paradise venue. 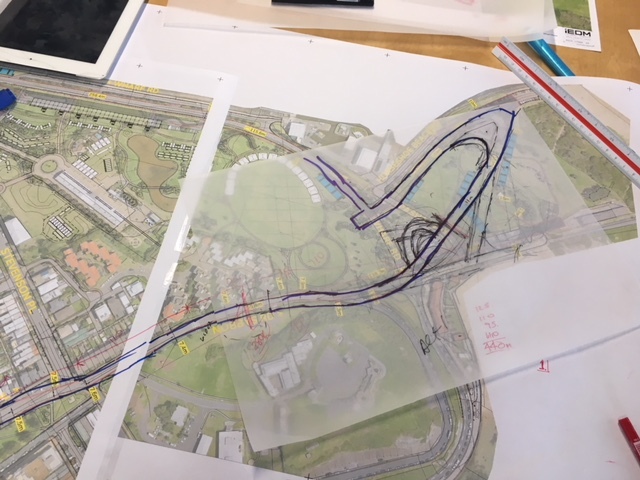 As with all street circuits, Newcastle has seen Howe’s team work with Supercars and the local council to find a layout that would both minimise disruption for locals while showcasing the city’s key assets. Listening to the drivers, however, was deemed important to make sure the layout provides good racing with multiple passing opportunities and genuine challenges. “We always try to involve the drivers, but there’s no doubt that they’ve had more of an input into Newcastle than any of our previous tracks,” Howe told Supercars.com. “They were mostly looking at the passing opportunities, to make sure the track races well. “It was really all about the corners and the details; the kerbs, the positioning and angle of the car coming into the corners. “If you’re bringing the cars in on an angle, it’s difficult to pass, because they’re braking, down-changing and turning all at once. As well as advising on racing lines, Howe notes that the drivers pushed for the inclusion of a ‘hero corner’ that will prove the circuit’s signature. Winterbottom says that the decision to run the cars all the way up the steep Watt Street and into a tight left-hander (Turn 2) that then plunges downhill on the exit ticks that box. Including the full length of the street created considerable work, with resurfacing and re-levelling required, as well as a reconfiguration of the following Shortland Esplanade. Announced last December, the decision to include all of Watt Street was made alongside moves to take several slow-speed corners out of the final section of the lap. “The biggest thing was selling the fact that you need hero corners,” Winterbottom told Supercars.com, recalling the initial visit last year. “Every good track has its hero corner and the elevation up Watt Street is unbelievable when you see it. Like Turn 1 in Austin, that elevation is what everyone will be talking about. “When we were first shown it, the track was only going to go halfway up the hill. James [Courtney] and I were very vocal that they needed to find a way to go to the top. “It’s good for them to listen to current drivers. The sport changes and those who are in the cars now know what works and what doesn’t. “Initially they were looking at a lot of short, stop-start, corners. On the simulation that looks really good for passing, but in reality it’s single-file. It wasn’t that appealing to be honest. “James [Warburton] really pushed for what the drivers wanted. He said ‘draw it on the map and we’ll see what we can achieve’.